The much anticipated travel card has finally arrived. The BPI of the Philippine Islands (BPI) and the Department of Tourism together with Visa, announced the availability of the BPI More Fun Card on July 23, 2013. The More Fun Prepaid Card was first introduced under “Banking on Tourism,” a flagship program of the BPI and Department of Tourism (DOT) partnership. The BPI More Fun Prepaid Card will give its users the chance to enjoy discounts, perks and freebies at many local establishments around the Philippines. There is absolutely no interest charge since it is not a credit card. The card can be loaded and used for up to 18 months. As an extra treat, the card is customizable. You can design it by uploading a photo of you and your friends with your own tag line or use any of the (6) More Fun in the Philippines gallery cards of your choice. This way, each card can be made special for each and every cardholder, unlike any other card out there. With this card, you use it to do transactions online like shop, book plane fares, hotel reservations and other entertainment tickets available online. And during travels, you need not bring loads of cash anymore because you can simply load your card via over 200 BPI Express Deposit Machines, about 2,000 BPI Express Teller ATMs in more than 800 branches nationwide, or log on to www.bpiexpressonline.com. You can easily check your balance by texting BALEC to 2274 for Globe and TM or 3274 for Smart and Talk 'n Text or by dialing 89-100 (press 4 for Express Cash and 1 for Balance Inquiry) so you’ll know how much money you have left while you are on the road. 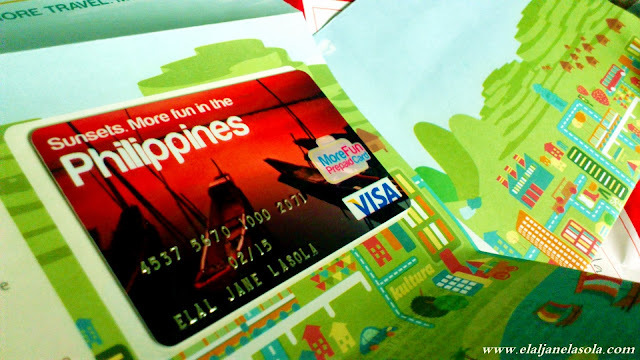 The More Fun Prepaid Card is a reloadable prepaid card that is accepted all over the Philippines and worldwide as well. Wow, this is great! I have eprepaid from bpi, and definitely will get this one as well, when I got home. How long did it take you to claim your card upon registration? Hi. Really for 18months lng? Then you will renew it ulit? im thinking of this kasi or the eprepaid. However eprepaid costs 500 but for 2 years. Which do you think is better?